There are plenty of misconceptions about weed, which skew from inherited wives tales to universally accepted stereotypes. It’s safe to say that legalization of cannabis has been one of the most controversial issues of the 21st century. Politicians, celebrities, academics, medical professionals, and everyday individuals have gone back and forth on the issue for decades and through this discussion, incredible progress has been made toward furthering the understanding and acceptance of recreational drug use. 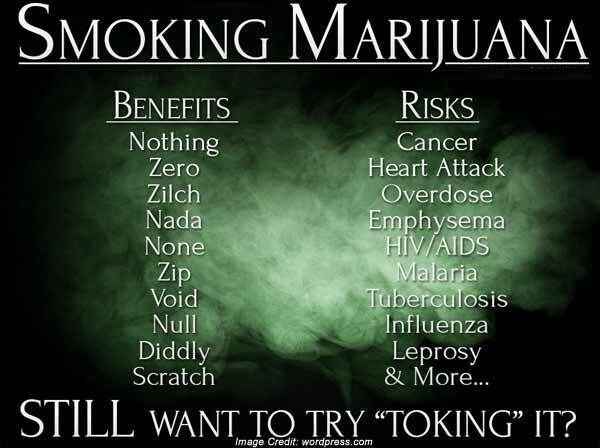 However, this is not to say that all myths about cannabis have been debunked. There are plenty of misconceptions about weed, which skew from inherited wives tales to universally accepted stereotypes, and here are three of the most common fallacies. Everyone, at some point in their life, has garnered character traits which create the representation of someone who uses cannabis, and one of the most typical features of the stoner disposition is laziness. The media, whether through mainstream news, popular television and film, or the music industry, has over time attributed lazy and freeloading behavior with those who smoke marijuana and caused the general public to believe that consuming this plant turns you into a bum. However, studies done by psychology professors at Vanderbilt University have shown that while marijuana may have a temporary effect toward inducing passive behavior, there is no correlation between smoking and long-term motivation. These studies, which were conducted in 2009, found that while many of the 61 participants experienced a decrease in motivation during the trial, it was not an accurate measure of these individuals motivational behavior because the study was completed in under 12 hours. Which means, that while weed may have an effect on users in the moment – there is no scientific proof that it has any affect on the consumers after the high has left the body. In fact, many athletes swear by cannabis as part of their training or their recovery. Regardless of where we grew up or attended school, many of us were subjected to cheesy infomercials and films from high school health classes about the dangers of weed in relation to drugs like heroin, methamphetamine, and cocaine. And while now as adults we are able to look back and laugh at the bad acting of these productions, it’s important to understand how this propaganda has shaped our societies’ understanding of the herb. Many individuals still believe that cannabis leads to dangerous drug abuse, however, studies have shown that there are other “gateways” which have a higher correlation to hard drug use than cannabis. Poverty, poor social environment, an association with people who do hard drugs, alcoholism, and even prohibition itself predispose individuals to the use of hard drugs far more frequently than marijuana alone. This misconception is a result of the cultural movement that is the war on drugs, which by in large, has little research to support that cannabis on its own leads to the use of destructive stimulants, opioids, sedatives, and solvents. And remember, the DARE program removed cannabis from its gateway drugs list last year. One of the biggest uphill battles that advocates and activists of cannabis legalization have had to face is the misconception that cannabis is bad for your health. Whether it be the belief that it causes cancer, negatively effects mental illness, or even kills brain cells, organizations like the Foundation for a Drug-Free Life have been misinforming audiences for years that cannabis can put your health in danger. Yet, as many people today already know, cannabis does not have a negative impact on your health and countless studies have shown that it, in fact, has an extremely positive impact on a person’s well-being. From helping those who suffer from mental illnesses like anxiety and depression to alleviating seizures in individuals with epilepsy to treating cancer – cannabis and its properties have been shown to improve physical and mental health conditions.